Today I made hot chocolate cookies for a chili dinner I'm headed out too. While the recipe called for a 'from scratch' cookie base... I made it the A. Russ original way... 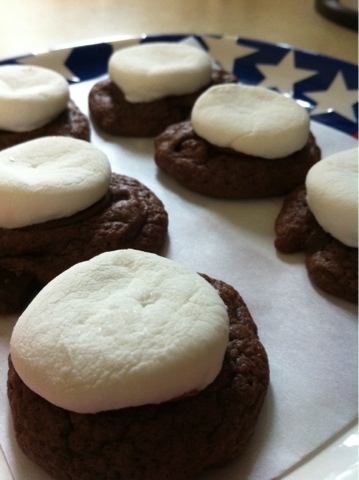 I used a Betty Crocker Chocolate chuck cookie pouch, used melting chocolate disk and cut the large marshmallows with my kitchen scissors. They where fast and turned out great! While love to bake... I like to get out of the kitchen too!